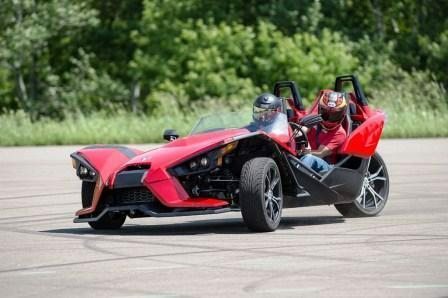 Polaris, the powersports giant, moves from off-road, snow and slush directly onto the pavement with its new three-wheeled motorcycle, the Slingshot, and a prayer that enthusiasts will embrace the hot rod two-seater. Polaris makes a wide range of powersports equipment, including Victory and Indian motorcycles, Polaris snowmobiles, side-by-sides, ATVs and GEM Electric Motorcars. The Slingshot is unlike any conventional motorcycle, with two wheels up front and one in the rear. 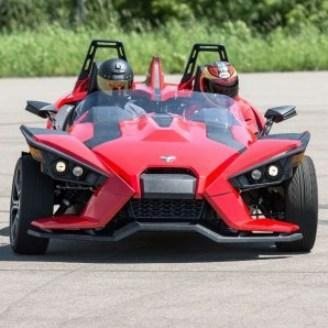 That may sound like the Can-Am Spyder — but the Slingshot is an entirely different animal.